Question and Answer Session No.5 - 21 September, 2017. Here is the answers to the queries received. A total of 36 Queries are answered this time. Few queries are already answered in our previous Q&A. Kindly check those. Q. The first look of golmaal was released and it was not at all exciting . I am big fan of golmaal 3 but this time I am not excited for this part. I was very excited during housefull 3 release but excitement during golmaal again is missing . What are your views about golmaal Again . What is its buzz and how much will it collect on 1st day and Lifetime. Rustom (via comment). Ans - Just a motion teaser of Golmaal Again is released. We can't simply comment without seeing a first look or trailer. Golmaal is a fun filled big franchise and is releasing in Diwali time. So, don't underestimate the film. Buzz of the film is low right now, but definitely gain momentum once the theatrical trailer is released. About the film business we can only make a comment after seeing the theatrical trailer and few song promos. Q. Sultan China me release ho rahi hai. Zain Khan (via comment). A - Yes, It is releasing in later part of this year. Q. Who has been more successful among the following- Akshay Kumar, Hrithik Roshan, Sunny Deol and Sanjay Dutt? Knight (via comment). A - Definitely Sunny Deol in his peak time (mid 1980s to early 2000s). He gave some monumental HITS which were huge landmark grosser. Q. Latest buzz is YRF approaches SRK for Dhoom 4 ? How far is it true ? Is SRK a good choice for Dhoom 4 ? Prashant Abhishek (via comment). A - All rumours right now. No official announcement. Yes, Shah Rukh Khan is a good choice for Dhoom 4 without a doubt. Q. 1. Padmavati has been postponed? 2. Could Justice League be biggest Hollywood grosser of 2017 in India? 3. Please provide Top 10 highest Hollywood grosser in India with net domestic business figures. GK (via comment). A - Yes, Padmavati is postponed, but just only by 2 weeks. Film will release on 1st December, 2017. Yes, Justice League has decent to good chance that may emerge as biggest Hollywood grosser of 2017. For that content is highly important. We will put up Top 10 highest Hollywood grosser in India very soon in a separate post. Q. 1. There is strong rumour that SRK have double role in dwarf film .apart from dwarf he is playing normal role too.is it true ? What is your expectations from this film ? Will SRK entered to 300 crore club if the film gets solo release and film turned out to be very good ? 2. If clash happens on Christmas 2018, then how much it can collect on box office .According to you who can target Christmas 2018.my opinion is Akshay as he have many films scheduled to release next year.your opinion ? Prashant Abhishek (via comment). A - Yes, there is strong speculation that Shah Rukh Khan is playing a double role in Dwarf. One of the character is dwarf and other one is normal charismatic character. We have huge expectation from the film and it is easily one of the most awaited film of 2018. 300 crore looks tough as film will need excellent trending and huge opening for that. But if all goes well then film will definitely gun for 200 crores in India. Right now film is having a solo release. Right now no other film is getting release in Christmas 2018. However, being Christmas and New Year festive time, others may also try to join the fun and thus leading to a box office clash. Q. has bahubali2 released in china, if not then when, it was supposed to release on 17th sept 2017 in china. Puneet (via comment). A - As per latest Baahubali 2 release in China is postponed. Official announcement is awaited. Likely to get release in December. Q. 1)Any update for Padmavati.? Less than two months left. Is Shooting on/over. ?possibility for postponed.? First look.? 2)Where is Yo Yo Honey Singh.? Is he OK.? nirazz jazz (via comment). A - Padmavati first look is unveiled. Check it! Film releases on 1st December, 2017. Yo Yo Honey is battling Bipolar Disorder and Alcoholism. Hence, he is staying away from limelight right now. Hope he get well soon and back to his usual business. We are definitely missing him in the scene. Q. What is the Budget for shubh mangal saavdhan and bareli ki barfi both films and which one is bigger hit ? Sagar Maiyad (via comment). A - Budget of Shubh Mangal Saavdhan is approx 17-18 crores. Budget of Bareilly Ki Barfi is approx 20-22 crores. SMS is a much bigger HIT! Q. Need to know when the multiplex cinema enter in india and before that all over the india there are just single screens if yes then KKHH or DDLJ or Gadar or any other classic movies earn that much from just single screens and also what about movies like we can say now a days that this is multiplex audience movie and this is masala mass film for single screen audience how that was differentiate at that time ? Sagar Maiyad (via comment). A - Pre-multiplex era, audiences have no choice and have to watch films in single screen theaters. Post-multiplex era, people are spoilt for choices. Good film runs in both multiplex and single screens. There is a perception that film with niche, arty genre runs more in multiplexes. Same way mass dominated films with seeti maar dialogues run more in single screens. 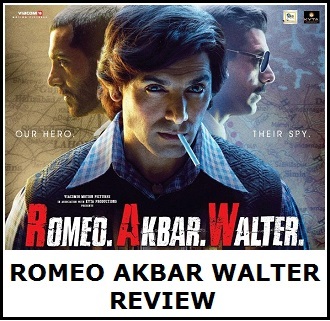 We think a proper commercial potboiler will run equally and successfully in both. Q. Why kaabil is semihit accoring to you? Distribution rights were sold to 42cr and film collected morethan double...than whats the problem? Swarup Dey (via comment). A - Considering all factors, Return on Investment, Distributor share, profit and loss account for distributors and makers, nett collections, Kaabil is declared Semi-HIT. Kaabil is mostly break even and profitable for few, with minuscule loses for few distributors/sub-distributors. Q. Sir I am big fan of your site from pakistan...what is the final cast of race 3..will amit ji will be part of race 3 if that happens what will be your expectation from the film..how is the buzz of tiger zinda hai... Shozab Abbas (via comment). A - Sir, thanks for such nice feedback. It is because of you, we are surviving. Race 3 is still in casting and pre-production stage. Salman Khan is only officially confirmed. Rest all are strong rumours and speculation. Jacqueline Fernandez herself hinted in an interview that she is also part of Race 3. If Amitji joins the fun then film will get even bigger. We have high hopes from the film. Hence, it is 99% confirmed that she will also star in it. Buzz of Tiger Zinda Hai is very good. All are waiting for first look and theatrical trailer. Q. None of golmaal series except ist golmaal film was good one then why we are giving the series such a hypd. Sachin Azad (via comment). A - Because all of them have done good business at box office. Definitely there is something good in Golmaal series because of which audiences throng to theaters. We thing it is 'Entertainment' factor. In fact, Golmaal 3 was a Blockbuster. Q. TEPK ka 6th weekend tak total collection kitna hai. Hemant Garg (via comment). A - TEPK 6th Weekend total is approx 10 lakh nett. Film theatrical run is coming to an end. Q. Super stars ka kam sirf paisa kamana h, entertain karna nhi , koi saal me 1 movie deta h koi 2 saal me. Bas 300 cr kamana h. Public baki 8 - 10 month kya dekhe ? Bollywood ke movie makers bhi pagal h sale Bakwas movie banate h Ginti ki 4 ya 5 movie achhi banti h nhi to pure saal chutiyapa hi dekhna padta h Or jo achhe movie maker h unko support nhi milta Tabi to public slowly slowly hollywood movies ki tarf sift ho rahi h or fir bollywood wale complain karte h ki hollywood unka bussiness kha rha h Sensor bord ko bakwas movie pass nhi karni chahiye but vo to sabka baap h bus kiss seen se problem h usko baki movie kaisi bhi ho usko ghanta bhi fark nhi padta Are bhai companyjab product nikalti h tab uski testing hoti h In movies ki bhi testing honi chahiye This comment by a frustrated movie fan. Virat Kohli (via comment). A - I envy your position dude in this open forum. Q. Whats your predictions for golmaal again. just rocking (via comment). A - Trade is expecting it to be 125-150 crore product. We will soon get to know whether it has such potential as theatrical trailer is set to release in a days time. Q. Between Ajay Devgn, Ranbir kapoor and Varun Dhawan who is the bigger star? Is Ajay devgn the bigger star out of these three in single screens and smaller multiplexes? Pls rank top 5 stars in single screens and multiplexes in the current scenario. Knight (via comment). A - Ajay Devgn is still a bigger star than Ranbir Kapoor and Varun Dhawan. Ajay's last two films Shivaay and Baadshaho received mixed reviews and still are decent grossers at box office. Ranbir and Varun are very close though now. Q. Do SRK and Hrithik have mass following as their movies dont do well in the single screens? Knight (via comment). A - Yes, both SRK and Hrithik have mass following. Last few films of both of them are not pan India film with universal acceptance. Even if there is universal accepting film, then content is poor. Q. Who is the biggest mass action action superstar of all time in bollywood? And if possible please give the top 5 ranking. How did Salman make his transition from a romantic hero to an action hero and since when did his fan following became huge among the multiplex crowd? Knight (via comment). A - In Bollywood it has to be Sunny Deol. Remember 'dhai kilo ka haath.' Salman made transition to action hero with 'Wanted.' Wanted is his career defining film as far as action hero image is concerned. Dabangg multiplied it further. Ek Tha Tiger made him darling of multiplexes also. Top 5 action star (in seniority order) has to be Dharmendra, Amitabh Bachchan, Sunny Deol, Salman Khan and Akshay Kumar. Q. Which are the most successful bollywood movies in overseas in all decades. jatin jain (via comment). 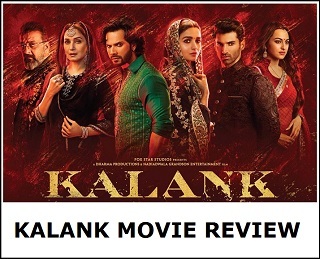 A - In film release order - Hum Aapke Hain Kaun, Dilwale Dulhania Le Jayenge, Kuch Kuch Hota Hai, Kabhi Khushi Kabhie Gham, Veer Zaara, Kabhi Alvida Na Kehna, 3 Idiots, My Name is Khan, Dhoom 3, PK, Bajrangi Bhaijaan, Dilwale, Dangal. Q. Hello addatoday.... love your q and a session. Which is the the biggest and safest movie of all.... TZH, 2.0, TOH, srk-dwarf? Which movie should release on eid 2018 as race 3 looks tough to get ready till then? Who was a bigger star in 90s Salman, srk or sunny deol? Thank you. Janbaaz Khan (via comment). A - Thanks for the lovely wishes. All are very big films. If have to put money then it has to be TOH. 2.0 and TZH may surprise all. Srk-Dwarf might end in 4th position among these huge biggies. But battle will be deadly for podium finish for sure. We simply don't know which film will get release in EID 2018? Race 3 might not be ready by then. In 90s Salman, SRK and Sunny Deol swapped positions. Salman might sneak ahead because of huge grossers. Q. I'm a great fan of Science Fiction movies especially the ones that are based on space. Gravity, The Martian, Appolo, Life, Interstellar to name a few.Why haven't we seen such type of movies in Bollywood till now? What could be the areas where bollywood is lacking to produce or make such SciFi films? Tb Langel (via comment). A - Lack of good visionary and film makers, and most importantly budget factor. But Indian Cinema is growing post-Baahubali. Hope Bollywood also grows and someone can make our own Gravity in coming times. Q. Hi addatoday.i am a very big follower of your site.you are not bias upon stars.you always hope every films success.keep it up!I just want my favourite star Ajay devgans golmaal again opening day predictions.i think it will have the highest opening of the year after Bahubali2. Rajkumar Gondowrylall (via comment). A - Thanks for such nice feedback. Golmaal Again opening day will be huge. Question is when film will get released. If it releases on National Holiday then expect some big numbers. We will update soon after watching the first promo and release date. Q. How can a great film like Swades turn out to be a flop while movies like No entry, Kya Kool hain Hum turn out to be commercial success? Are we (audience) that ignorant not to appreciate such a good film like Swades? Tb Langel (via comment). A - Swades was promoted wrongly if I remember correctly. Film had a good story to tell but makers faltered badly with promotional strategy. It was promoted as an art or documentary film prior to release. Film later became a classic in Indian TV. No Entry was a classic in comedy genre which pioneered many comedy films in mid 2000s and later on. This genre is still active latest being Mubarakan. KKHH was an adult comedy liked hugely at the time of its release. This genre has faltered badly in last 1 or 2 years. Q. How much popularity did Emraan Hashmi enjoy at the B and C centres in between 2008-2012 and how big a star is he now? Knight (via comment). A - Emraan Hashmi was a significant star in mass dominated centers in late 2000s and early 2010s. But his popularity decreased with bad choice of films. He has still some following but not on the level of those earlier days. Hope he regain it soon with some interesting films. Music is always been a plus in Emraan films and he has also to look into that in coming days. Q. Will Bhoomi be a success? Knight (via comment). A - Looks difficult after the release of promos. We do hope that content is good and film emerges as successful. Q. Can padmavati become highest grossing movie of the year if it get positive reviews and tzh get mixed reviews. jatin jain (via comment). A - If Padmavati receives excellent positive reviews and TZH receives negative to mixed reviews, then Padmavati has a good chance of emerging as highest grossing movie of the year. Q. Who is best Aamir khan, Akshay Kumar or Salman khan? Amit Kumar (via comment). A - Best in business? Aamir Khan definitely ahead right now. Best in performance? Difficult to choose as all 3 of them have given many memorable performances. Q. Audience want to see Abbas-Mustan to direct sallu because of the success made with Akki in "Khilladi" and finest role given to Srk in "Baazigar", but now things turns that Remo to direct sallu in"Race 3.Can Remo do better as Abbas-Mustan? Why not Abbas-Mustan in Race 3? Is it because they failed miserably in movie " Machine "? ali hussaini (via email). A - Don't know the exact reason behind all these. Hope makers give a proper justification to it. Q. Why critics mostly underrating Ajay devgn and Hritik roshn movies? Is there anything like producers figures despite introduction of GST on Bollywood is working? What are the true verdict collections of " Badshaho",Poster Boyz" and expectation of "Bhumi" at the BO? ali hussaini (via email). A - Majority of critics have zero knowledge regarding film making. Don't take them seriously. Theater going audiences heardly look into that. Most of theater going audiences prefer word of mouth report nowadays. Producers some time inflate collections in first few days for various benefit. Baadshaho is a below average, Poster Boys is a flop. Expectations from Bhoomi is low right now. Q. Who is the biggest superstar in recent time? Chirag Buddh (via email). A - Aamir Khan followed by Salman Khan. Q. Why bollywood movies with good content/plot also getting flop? wasim khan wsk (via email). A - Bollywood is hardly making pan India film with good content. That's why in general cases it is getting flopped. Q. Hello i am a big fan of your website, any news that Salman Khan is doing Kick 2. Abdulhakeem Ahmad (via Facebook). A - Thanks for the feedback. Kick 2 is all speculation right now. No real official update. Q. Hi I Would Please Like To Know That If There's a Bollywood Movie Named Crack Releasing Next Year? Which Stars Akshay Kumar. Usman Mazamal (via Facebook). A - Crack is definitely happening but it is postponed to indefinite time right now. Hope soon we get some real update on this project. Q. Is Ajay's Raid a commercial movie or niche plz tel their value in boxoffice? Saifal Ali Abro (via Facebook). A - Yes, Raid is a pure commercial entertainer from whatever little information we have right now. Q. whats your prediction on #Simran lifetime business ?? Considering its budget will it manage to earn profit ? Nirvan (via Twitter). A - Simran lifetime business might be wrapped in around 20 crore nett mark. No, film will entitle loses. After successful completion of Question and Answer session no.4, here we return again. Those who have missed the last question and answer session in this site, kindly Click Here. Now all readers of our site can send their queries to us via comment section (recommended), email, Twitter or Facebook on Monday and Tuesday of the week. We will try to answer as many as possible in a single post on Wednesday or Thursday of the week. The first look of golmaal was released and it was not at all exciting . I am big fan of golmaal 3 but this time I am not excited for this part. I was very excited during housefull 3 release but excitement during golmaal again is missing . What are your views about golmaal Again . What is its buzz and how much will it collect on 1st day and Lifetime. Who has been more successful among the following- Akshay Kumar, Hrithik Roshan, Sunny Deol and Sanjay Dutt? bro please use civilised language. Indeed Sunny Deol has been a huge supertstar, but the media doesnt give him due credit and thats why I asked this question. Latest buzz is YRF approaches SRK for Dhoom 4 ? How far is it true ? Is SRK a good choice for Dhoom 4 ? 1. Padmavati has been postponed? 2. Could Justice League be biggest Hollywood grosser of 2017 in India? 3. Please provide Top 10 highest Hollywood grosser in India with net domestic business figures. 1. There is strong rumour that SRK have double role in dwarf film .apart from dwarf he is playing normal role too.is it true ? What is your expectations from this film ? Will SRK entered to 300 crore club if the film gets solo release and film turned out to be very good ? 2. If clash happens on Christmas 2018, then how much it can collect on box office .According to you who can target Christmas 2018.my opinion is Akshay as he have many films scheduled to release next year.your opinion ? 1)Any update for Padmavati.? Less than two months left. Is Shooting on/over. ?possibility for postponed.? First look.? 2)Where is Yo Yo Honey Singh.? Is he OK.? What is the Budget for shubh mangal saavdhan and bareli ki barfi both films and which one is bigger hit ? Need to know when the multiplex cinema enter in india and before that all over the india there are just single screens if yes then KKHH or DDLJ or Gadar or any other classic movies earn that much from just single screens and also what about movies like we can say now a days that this is multiplex audience movie and this is masala mass film for single screen audience how that was differentiate at that time ? Why still 54yr old bollywood buddha's are doing love stories? Why kaabil is semihit accoring to you? Distribution rights were sold to 42cr and film collected morethan double...than whats the problem? Full cast and crew of race 3. Super stars ka kam sirf paisa kamana h, entertain karna nhi , koi saal me 1 movie deta h koi 2 saal me. Bas 300 cr kamana h. Public baki 8 - 10 month kya dekhe ? This comment by a frustrated movie fan. Between Ajay Devgn, Ranbir kapoor and Varun Dhawan who is the bigger star? Is Ajay devgn the bigger star out of these three in single screens and smaller multiplexes? Pls rank top 5 stars in single screens and multiplexes in the current scenario. Do SRK and Hrithik have mass following as their movies dont do well in the single screens? Who is the biggest mass action action superstar of all time in bollywood? And if possible please give the top 5 ranking. How did Salman make his transition from a romantic hero to an action hero and since when did his fan following became huge among the multiplex crowd? Why srk is doing crap films like happy new year and dilwale ? What was wrong in jab harry met sejal ? Does red chillies team really changed the scripts of some srk starrers ?? Why are not updating dangal collection in Hong Kong ? Hello addatoday.... love your q and a session. Which is the the biggest and safest movie of all.... TZH, 2.0, TOH, srk-dwarf? Which movie should release on eid 2018 as race 3 looks tough to get ready till then? Mogul or Gold the bigger movie? Who is doing good in the last 10 years? 2007-2017 Srk or akshay? What is the collection of raja harishchandra 1912 movie and its verdict? I'm a great fan of Science Fiction movies especially the ones that are based on space. Gravity, The Martian, Appolo, Life, Interstellar to name a few.Why haven't we seen such type of movies in Bollywood till now? What could be the areas where bollywood is lacking to produce or make such SciFi films? How can a great film like Swades turn out to be a flop while movies like No entry, Kya Kool hain Hum turn out to be commercial success? Are we (audience) that ignorant not to appreciate such a good film like Swades? How much popularity did Emraan Hashmi enjoy at the B and C centres in between 2008-2012 and how big a star is he now? what is buzz of tiger zinda hai? With Sultan like WOM what will be the lifetime collection of TZH ? Will Bhoomi be a success? Aamir khan, Akshay Kumar or Salman khan? Does Aamir doing Rakesh Sharma Biopic? If yes, than when will we get official announcement along with release date as well. Arrange in terms of stardom.... Dilip kumar, Big B, Rajesh khanna, Salman, Srk, Aamir?? For yur kind info a lot of difference between 1 movie in 1year or 2 years and 3 movies in 1 year. Even your abba taran Sir will not agree with you.